Aldi is selling salted caramel and apple gin liqueur for your New Year party! Always filling our life with creative treats for the tastebuds, budget supermarket Aldi has added a new addition to its extensive party drinks range – a salted caramel and apple gin liqueur. A tipple for the sweet-toothed among us, this liqueur blends two classic Christmassy flavours to form a sugary spirit that may even make you put the Baileys back in the fridge. It’s perfect for New Year’s party and ideal if you fancy a change from the prosecco magnums, Baileys flavours and mulled wine we’ve been enjoying over the festive season. You can top it up with a mixer, a plain tonic if you want to go simple, or a glass of apple juice for an extra fruity flavour. Or you could mix it up into a cocktail, maybe even swap it for the vodka in a White Russian for a caramel version of the classic. Of course, you can simply serve it on ice for a refreshing alcoholic hit of sweet. But our favourite way to serve the dessert flavoured gin? Pour it over a bowl of ice cream for a grown up pud that’s the perfect indulgent finish to a weekday winter dinner. At less than £15, it makes the perfect (belated) present for your favourite party person, or, alternatively, you can just purchase it as yourself as a final treat before the start of Dry January. There is one catch, however – it is only available online. The liqueur has been made available as part of Aldi’s limited online exclusive range, so customers cannot purchase it in stores and unfortunately it will not be restocked once it sells out. 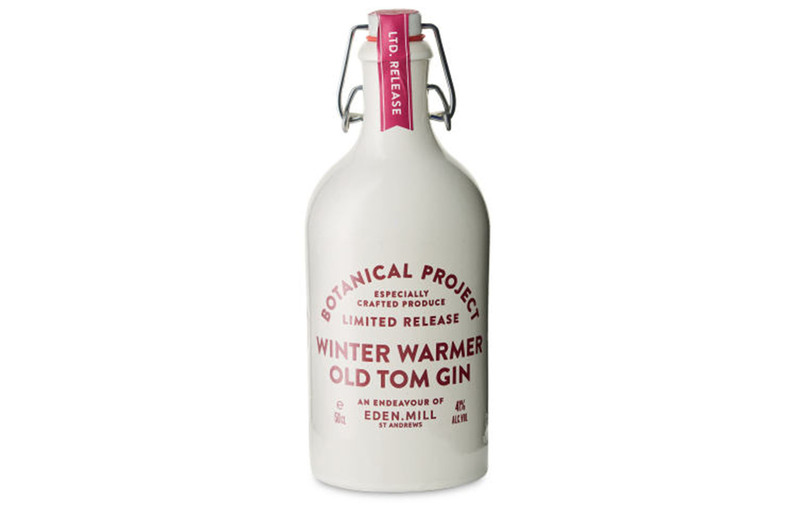 And for only £19.99, the discount store has also re-released their Winter Warmer Old Tom Gin, which is infused with ginger, dried fruits, cinnamon, nutmeg and clove for a hit of festive flavours. It’s basically a gingerbread man in a bottle! Time to get the New Year drinks’ cabinet bars ready!